With advancements of technology the prevalence of privately recorded footage in the justice system has shown a marked increase. It seems there is seldom a noteworthy event that goes uncaptured by a gaggle of smartphones or such devices. There has also been a rise in the number of individuals having dash cams fitted to their own vehicles. Our Nick Terry discusses the legal implications and other issues future buyers or owners of dash cams might want to consider before hitting the record button. The short answer is no, it is not unlawful for a dash cam to be fitted in a private vehicle despite the fact that some would argue it then records unsuspecting members of the public. In the UK however, use of such devices is not considered to breach any rights to privacy. This position cannot be said to be true of all European countries and so motorists should be mindful of this ensure they check the legal position should they decide to take their vehicle abroad. However, there are other pitfalls which motorists should be aware of. If the car or van is a company vehicle then it is important that all potential users are informed as most dash cams also record audio inside the vehicle and this can be considered a breach of privacy. This will have applications to many vehicles including taxis, couriers and the pool cars. It should also be noted that the fitting of dash cams is also important as it mustn’t be in the eye line of the driver otherwise this can amount to an offence in itself. For example S41D of the Road Traffic Act creates a specific offence where a driver is “not driving a motor vehicle in a position which does not give proper control or a full view of the road and traffic ahead”. Or if by virtue of the equipment it causes you to drive below standard of most competent motorists then you could find yourself being prosecuted for an offence of careless driving. If a dash cam is properly installed and all relevant parties are informed of its existence the device can be very useful should there be any incidents or collisions as the footage contained on the dash cam is admissible in the UK courts. That said, it must always be remembered that the footage is admissible both for and against the motorist that owns the camera. If a police officer were to stop a motorist, alleging that they had may be gone through a red light or undertaken a vehicle in a careless manner then the footage could be seized and used against them. There is also nothing to stop a police officer looking back at other footage and you being prosecuted for a multitude of other violations and also listen in to your conversations. 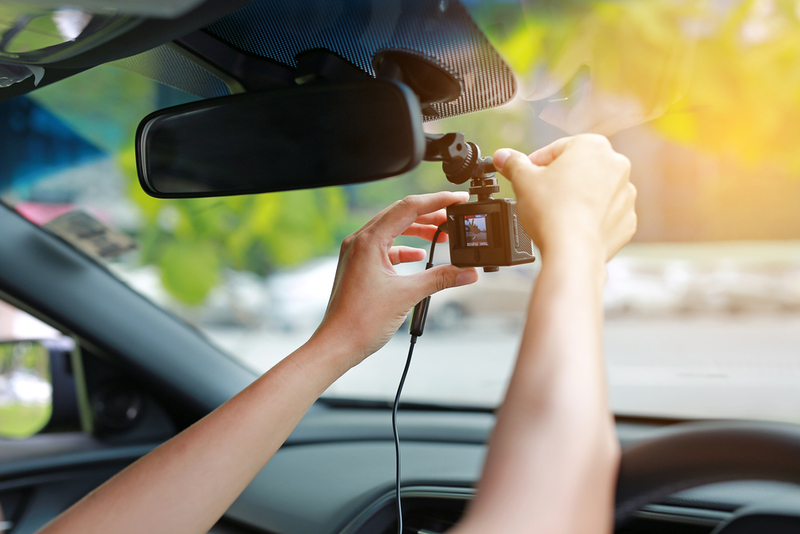 Whilst dash cams clearly have their uses in modern society, there are a number of motorists we are sure who would not necessarily want every manoeuvre conducted or location visited to be recorded so it might be that a little more thought has to go into whether to purchase such an item before taking the leap. To speak to one of our experienced driving offence solicitors, please get in touch. We’re available around the clock so you can rest assured we’ll be on hand when you need us.